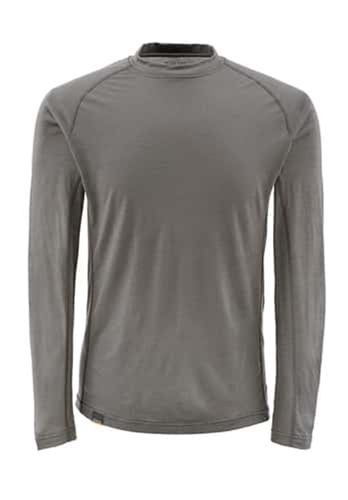 Montana Wool Core Crewneck is a superfine insulator that is great feeling next the to skin and neutrilizes odors and regulates core temperatures through tough wet weather. The flatlock stitched seams prevent chafing and is a great layering piece made of hardworking 18.5 micron wool. This item is made in the United States. Wore this for the first time on a stream all day with temperatures <40 degrees and loved it. Super warm and comfortable with a perfect fit (thanks for the longer sleeves). And the best part? No funky post-stream odors. Highly recommend.